In order to cut the time of coffee making, now has come a super sophisticated barista robot. The barista robot can make 120 cups of coffee in an hour. The robot belongs to a cafe called Café X. The cafe was originally only in Hong Kong, but last year opened a branch in San Francisco. There, the whole service has been done by robots. Seeing coffee enthusiasts who are still high, three popular coffee roasters in the US in cooperation Café X. Three coffee roasters are Intelligentsia, Ritual, and Equator. Cooperation is not to share quality coffee beans or other ingredients in coffee making. But a practical and high-tech coffee processing. Therefore a robotic barista was made for $ 25,000. The barista's robot can make quality coffee including espresso, flat whites, and cortados. 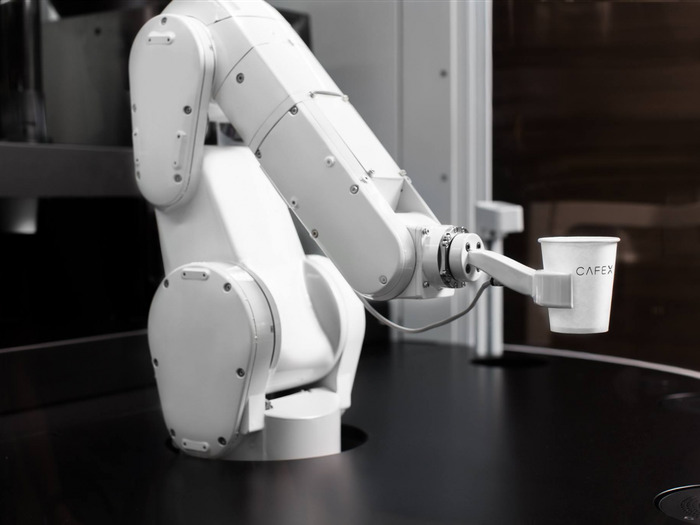 Within an hour, the barista robot can make 120 cups of coffee. "I do not see the robot revolution as a problem, the idea is not to scare or hurt you, the point is to get coffee as fast and as tasty as possible," Henry Hu, the inventor of the barista robot, told CNBC (8/5). Coffee prices at Café X include cheap. The average cup of coffee is priced at $ 3 and not more than $ 4. 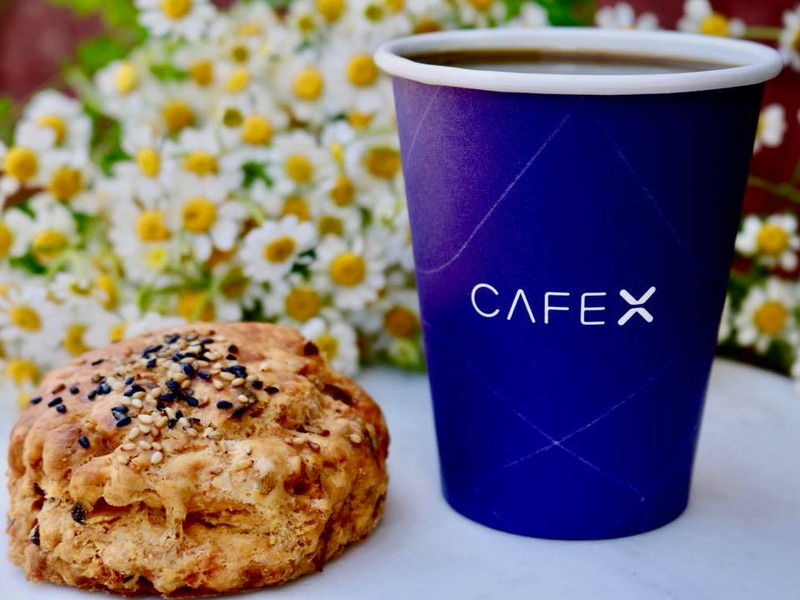 Café X itself is supported by several investors, two of them Thiel Foundation and Jason Calacanis. They are rumored to be giving $ 7 million to Café X. Calains themselves support the creation of robotic baristas because humans are deemed incapable of continuing to make coffee for 10 hours per day. "Humans make coffee for 10 hours per day is crazy in 2018 just like a customs collector sitting on a metal box on the highway," said Calacanis. He also said that the presentation of old coffee is also detrimental to customers. Especially if the wrong barista make an order as reported by Business Insider (9/5). 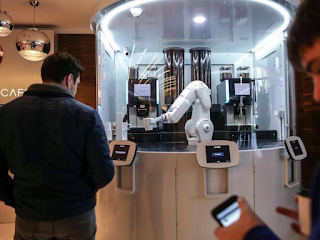 "The barista can make incorrect orders, inconsistent coffee quality, and the coffee shop can not record orders from customers who've come-but you can do all those things (easily) with robots," he added. Not only coffee outlets, based on reports from investment advisors, Cornerstone Capital Group, as many as 7.5 million retail workers will be replaced with robots in the next few years. It is also shared by CEO Jack in The Box. "We can see an increase in labor costs, it certainly makes sense to add automated technology," said Jack In the Box CEO Leonard Comma early last year. 0 Response to "Sophisticated! This Barista Robot Can Make 120 Cups of Coffee Each Hour"